The ravines are perhaps the most public of spaces in Port au Prince: they serve as natural infrastructure, yet also stitch communities together and host a variety of uses. 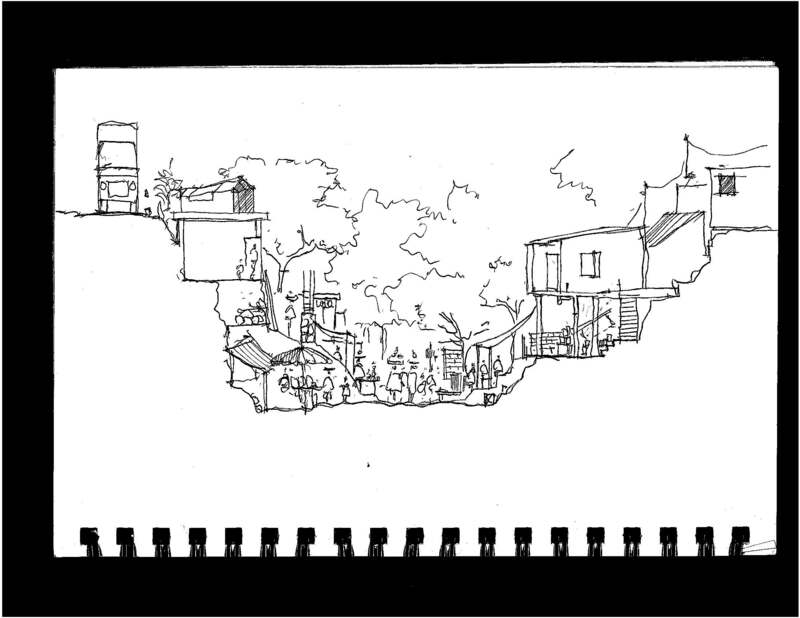 To the outsider’s eye, the ravines are invisible, yet they weave behind homes, run alongside offices, and course beneath streets. They are rarely explored by internationals unless they pose a danger requiring intervention: analyzing the need for slope stabilization, examining solid waste pathways, etc. This post attempts to explore the alternative side to these ‘hazard’ sites. Karine Buchereau, a Haitian urban planner, speaking at a design charette explained the important role that ravines play in Haitian cities, a site of multiple uses and an opportunity for connecting disparate societies. As she explains, the linearity of ravines connect wealthy and poor communities, fulfilling important ecological and social functions. The ravines are most obviously lines of rainwater collection and absorption, often transporting and depositing trash along the way. However, they also serve as corridors of pedestrian circulation in a city choked by vehicle traffic, or as an open space to graze livestock nearby overcrowded settlements. Walk along a ravine and you’ll see many more uses including as a cooking space, housing for the most vulnerable, or as a leisure and play area for kids. 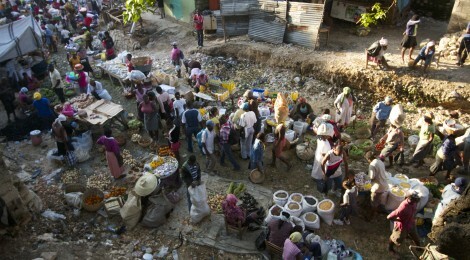 Perhaps the most picturesque use of the ravines is the wholesale market uphill from Petionville. While many public spaces are dominated by men in Port au Prince, this is solidly a woman’s space. 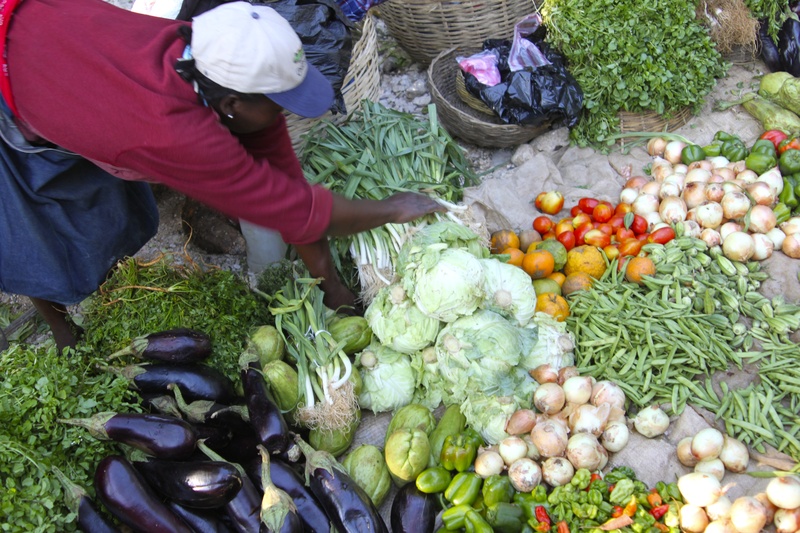 Ti machann (Creole for small vendors) sell produce in bulk from the nearby countryside to the ti machann of Port au Prince, who then sell it further down the hill. The market begins before sunrise and the cool morning hours see most commercial traffic. There is a constant din of voices advertising their goods: local vegetables and fruit, imported American rice and beans, second hand clothes, fresh bread, handmade chairs. 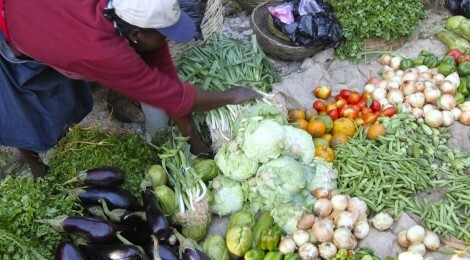 Finding open space for such informal commercial uses in Port au Prince is difficult; vendors often are in constant battle with local government over which streets they can occupy. Or only the precarious sites are left available. Urban public space often maintains this tenuous relation with hazards, the few areas remaining in dense fabrics often are those exposed to the greatest level of hazards. 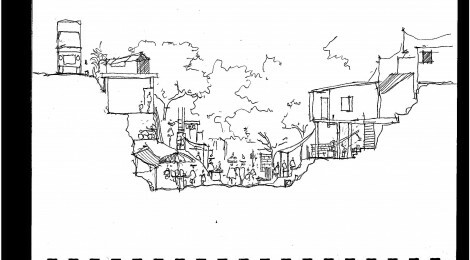 The ravine highlighted in this entry collects water from a vast watershed starting in the rural mountain villages like Kenscoff, weaves through wealthy neighborhoods lower on the hills like Pelerin, then through informal settlements and middle class neighborhoods around Petionville. Approaching downtown Port au Prince and Cite Soleil, the ravines turn into concrete canals, the water slowing down and flooding onto the streets as the canals clog with trash. Eventually, they empty into the ocean, carrying debris from all parts of the city and depositing it on the ever-expanding water’s edge of trash.